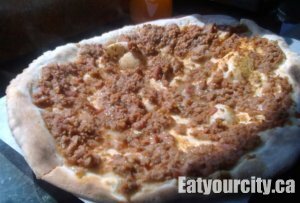 At the forefront of a small Lebanese stripmall, you can follow your nose to the Sunbake Pita Bakery which usually has its ovens on super early in the morning till about 6pm at night. Friendly staff and the bakers always make time to greet customers while hand shaping made to order meat/cheese/vegetable pies for customers. On the side, they always have an assortment of sodas and drinks - both the mundane and some you just take a chance on as its only labeled in the sinuous Arabic characters. And if you're lucky, they'd just finished baking up a batch of fatayers - little dough pouches bursting with savory, tangy sour or cheese fillings. Freshly baked pitas, traditional breads and a nut counter rounds out the offerings. Catering is also available. 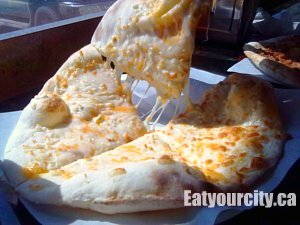 You can't go wrong with soft, fluffy dough made fresh everyday, stretched in front of your eyes, and topped with a variety of toppings and lovingly slid into a super hot oven and baked to a crispy perfection in front of your eyes. You can have it the traditional way - folded in half while its piping hot so all the toppings meld together or they can give it a quick chop and eat it like a pizza pie. I prefer the open pizza pie as the molten toppings tend to not slip off and not soak through the crispy crust. Simple food.. simply divine. Its comforting and its hard to wait for it to cool down enough not to scorch your fingers before you rip off a chunk and dive into ooey gooey cheese heaven. The regular cheese pie has a mixture of mozzarella, feta and cheddar for flavorful stringy stretchy nomnomnom! 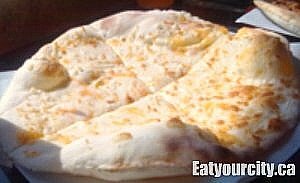 For the more adventurous and lovers of salt - try the Ekawi cheese pie - made with a traditional pale cheese that is twisted and resembles rope... super salty goodness. The topping? Halal meat is ground, seasoned with secret spices and has sweet overtones from crushed tomatoes. The meat mixture is baked just so the meat remains juicy and tender - occasionally, they're a bit too generous with the topping and the meat juices can make the pie a bit soggy if you're too slow to eat it. Best paired with a cheese pie. Savory seasoned meat + molten cheese = no brainer. Nom!! The spinach one is one of my favs when I'm hankering for a tangy almost to the point of sour savory pie. There are several others - with traditional toppings such as zatar (oregano and sesame seasoning blend) and kishk (dry/thickened yogurt), chicken shawarma, along with all the permutations and combinations of the toppings, but you can go there and discover them for yourself. A wonderful little bakery that supplies not only the soft and tender pitas - you'll never go back to the regular grocery store paltry excuses for pita after you try Sunbake's freshly baked pitas - it has the heart and soul many bakeries lack. Only suggestion - put in an air conditioner in the summer - the hot ovens going full blast makes the bakery a sauna in the summer. Simply the best place in Alberta to grab a freshly made to order comfort food. We've been going here for years, and we hope they'll be here for years to come. Nom. Sooooo deliciously good, esp with the tangerine / orange drinks. If I don't get my meat pie fix...I go into withdrawal!!!!! !